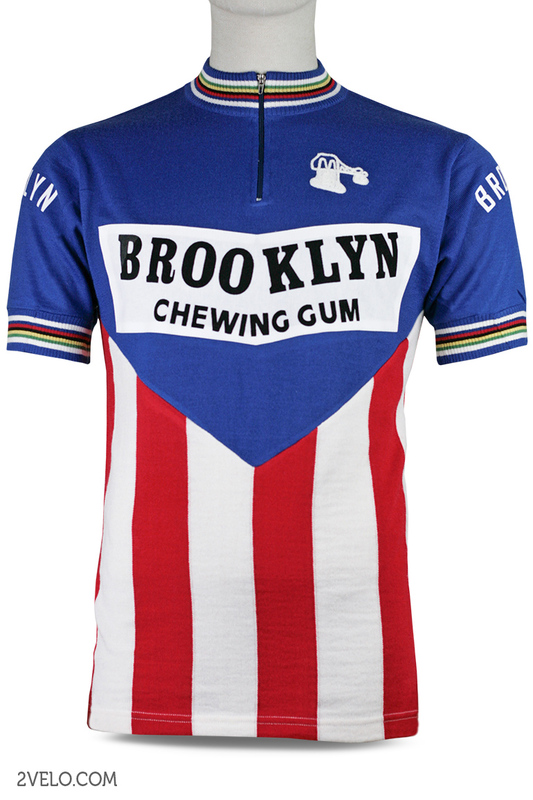 Brooklyn, wool jersey. 100% Merino wool. Chainstitch embroidery and flocked letter, same as on original one from 70`s. 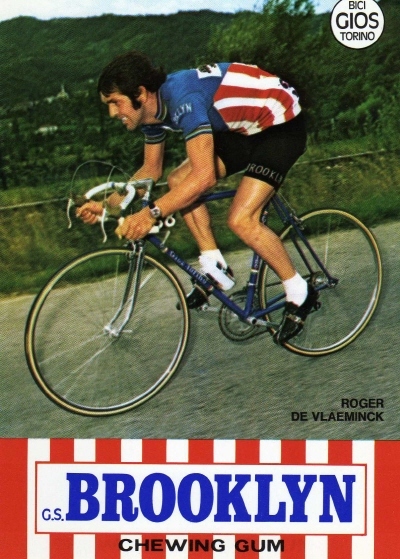 Brooklyn jersey has been worn by Roger De Vlaeminck.